After 2019 Session, Can Virginia Republicans Maintain the Majority? Virginia House speaker Kirk Cox, R-Colonial Heights, looks over the chamber prior to the start of the session at the Capitol in Richmond. Republicans have controlled Virginia’s House of Delegates for almost two decades. At the height of their power they outnumbered Democrats two-to-one. But shifting demographics, and a fierce backlash to President Trump, has put the party on defense. Mallory Noe-Payne has this look at what Republicans did with what some predict may be their final year in the majority. Last time the House was up for re-election Republicans clung to a majority, winning the single seat they needed when a name was drawn from a bowl. Now those same lawmakers are gearing up for their next election. Speaker of the House, Republican Kirk Cox, says he’s confident they can hold the majority - especially given Governor Ralph Northam’s blackface scandal. “Republicans showed leadership at at a time where there was a lot of lack of leadership and chaos and embarrassment from the executive branch,” said Cox. Since taking the helm as Speaker last year Cox has led his party through a subtle shift. They’ve softened on certain key issues, like Medicaid expansion, no excuse absentee voting, and redistricting reform. "Republicans showed leadership at at a time where there was a lot of lack of leadership and chaos and embarrassment from the executive branch." Cox says some of those changes are due to new proposals this year. “For the first time we actually had, I thought, a constitutional amendment that would actually have the legislature have a part in redistricting, which I think is key,” explained Cox. But the GOP is hardly facing an overhaul. Republicans haven’t budged on gun control or abortion. Political observer D.J. McGuire says Republican strategy in Virginia has always been about getting out the white rural vote. McGuire is a Republican defector. He switched to the Democratic Party when Donald Trump was elected. He says Republicans did not do enough this session to earn back his vote. "I've never thought it was a smart strategy... The Republicans have spent most of this century harping on social issues." This past session the caucus blocked a bill that would have banned housing discrimination against gay and transgender Virginians. Republicans also shot down the Equal Rights Amendment, saying it was part of a left-wing pro-abortion agenda. Jack Wilson, chair of Virginia’s Republican Party, says there are certain issues the GOP just won’t bend on. Republicans passed a bill this year that returns hundreds of millions of dollars to Virginia taxpayers. Although initially opposed, many Democrats also wound up supporting the measure. The steepest barrier to re-election though, may be something Republicans have no control over: new court-ordered district maps. They make several Republican-held seats more competitive, including the Speaker's. “If the redistricting holds obviously that’s a little bit of a headwind that we’ll have to overcome,” said Wilson. But Quentin Kidd, a political scientist at Christopher Newport University, says it’s a pretty strong headwind. If the Supreme Court lets the maps stand, Kidd doubts the GOP can overcome it. 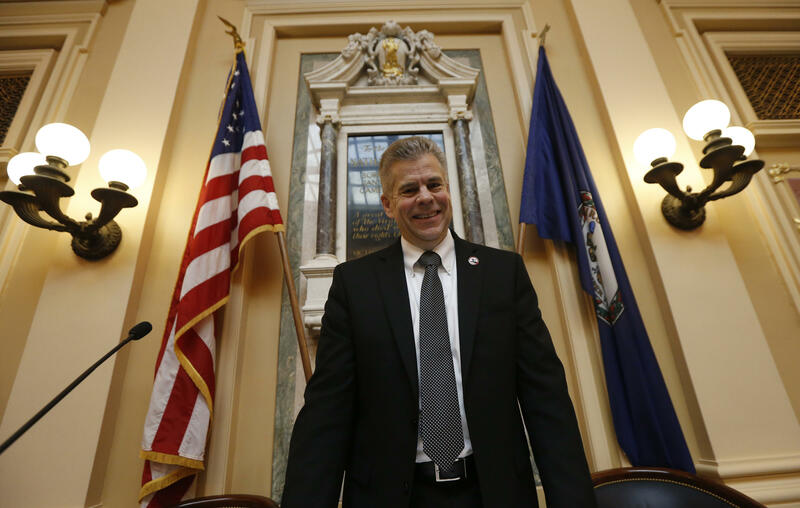 But, Kidd adds, the best thing that happened to Republicans this session was through no action of their own: the scandals that engulfed Virginia’s three statewide offices. “(Democrats are) not going to have the Governor, Lieutenant Governor, Attorney General, to be able to be on the stump campaigning for them,” said Kidd. Meaning Republicans aren’t the only party facing a headwind this November.